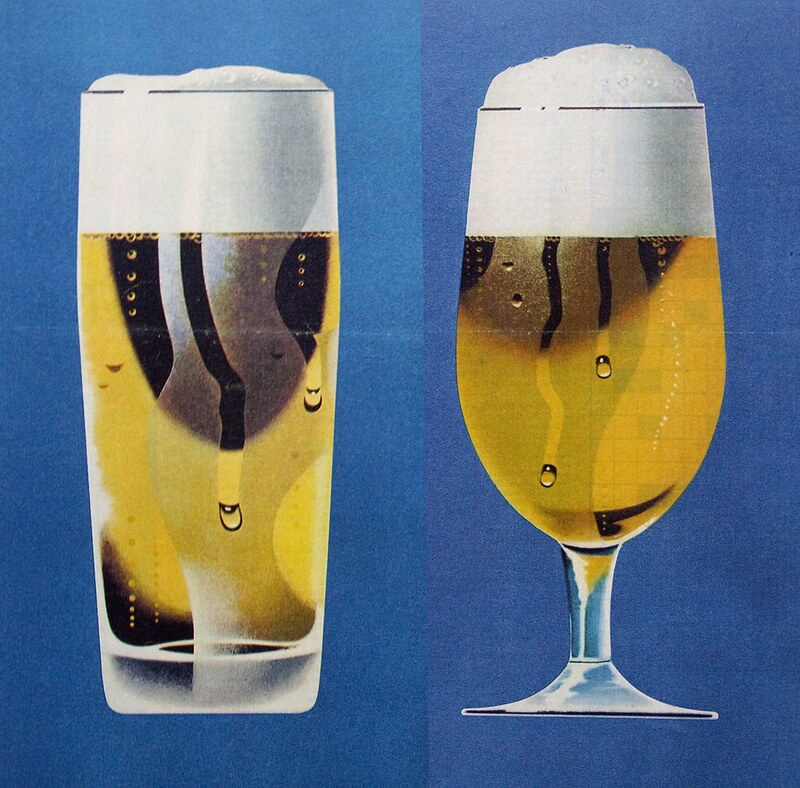 Thursday’s ad is for an illustration of two beer glasses, from sometime in the late 1859s or 1960s. From the late 1800s until the 1960s, poster art really came into its own, and in Europe a lot of really cool posters, many of them for breweries, were produced. This may have been part of a series of posters promoting beer by the German Brewers Association in the mid-20th century, but it looks more like an early draft of something. It was created by Swiss artist Herbert Leupin.